On the face of things, Honda’s Geneva e prototype – a thinly veiled (95% production-ready, we are told) version of the forthcoming production Urban EV, marks not only a refreshing change from the over-decorated norm but also a satisfyingly close approximation of the car Honda showed at Frankfurt 2017 to audible gasps of pleasure from the massed cohort of auto-commentators, this non-attending scribe included. The Guardian reported that electric cars are cheaper to run than other powertrains. This might have implications other than only cheaper motoring in the near future. Sino-American Lucid Motors have revealed their Air saloon, a truly good-looking car. Why does the VW ID concept have to look more styled than a VW Golf? This is an odd subject for a site devoted to automobiles. Have we made a bit of mistake? Can we avoid another? Automotive News has a timely editorial concerning the EV-1 which I once drove. Here are some of the photos. GM EV-1 (right) in 1997. Prompted by AN, I took out my photos from 1997 and found the shots from the day I drove the EV-1 (top, right) in California. The salesman at the car dealership presented the EV-1 as a something for enthusiasts (which contrasted with the sludge I expect he was selling). The idea was that the EV-1 would appeal to people still interested in the technology and car-ness of cars. At the time I was a bit cynical about the GM car. 90 miles didn’t really seem that impressive although even today a 90 mile range would be very useful for most people’s daily needs. I got that wrong then. The Bolt has a 238 mile range. 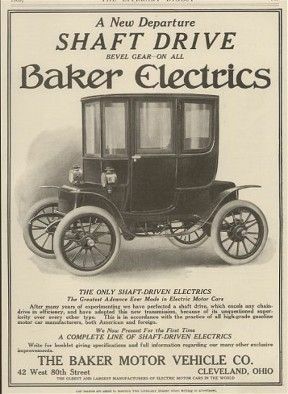 In previous posts I have discussed how far we might be into the era of the electric vehicle. About half-way, I reckon. Further developments point in the direction of a quickening pace of change. In the not too distant past DTW covered the matter of the slow end of the internal-combustion engine era. The matter comes up again… It’s not so bad really. In fact, it’s great. What a year it has been. With reference to Shannon (1948), we try to sort out signal from noise. Car Free Cities and ICE-Free Cars? Here are a trio of stories that add up the sea-change of which we are in the midst. Author richard herriottPosted on 11 Dec 2015 28 Apr 2017 Categories Current Affairs, Technology & Engineering, The Future, The IndustryTags 1996 Honda EV PLus, 1997 GM EV, car free cities, electric cars4 Comments on Car Free Cities and ICE-Free Cars?